Let us break down the ego into parts so that it can be easily seen for what it is. At the most basic level, our ego is our thoughts. Our thoughts are essentially our memories, put there by others. When we are ‘thinking’ or even trying to come out with a solution to a problem, we are essentially piecing together different memories to come out with ‘new’ ideas. These ‘new’ ideas are merely old ones rearranged differently. Our mental pictures are another part of the ego. When we daydream about a past event, we are brought back in time. At that moment, we are no longer where we are at the present moment but we exist in the past. We become totally oblivious of what is happening in the present. Similarly, when we daydream about the future, we are dragged away from the present and projected into the future. We see ourselves as having the objects we desire or if we are worrying about something, we see ourselves facing some difficulties. Both visions are not reality, but fictions created by the mind. Our thought and mental pictures trigger various emotions within us and those emotions in turn cause various muscular reactions in our physical body. If we are recalling a recent heated argument, anger will arise within us and all our muscles will become tense, especially our chest, shoulder and neck muscles. This emotions and physical reactions within our body give tangibility to our mental projections. They make our mental projections appear real even though they are merely memories and mental projections; they make our ego appear tangible. The continuity of thought, mental projections and emotions gives rise to an illusory entity which we take as the self or what Ramana Maharshi calls the ‘I’. Our mind is like a supercomputer that can generate thoughts and mental projections at a tremendous speed to create that illusory entity. 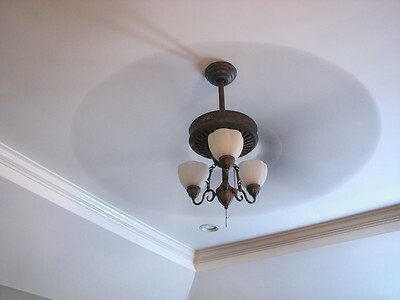 A crude example would be that of the blades of a fan which when turned on, appear as a single round object. The problem is that we are conditioned to ‘think’ all the time and we become uncomfortable when we do not have anything to distract our mind. That is how the ‘ego’ is able to continuously sustain its appearance or maintain the illusory self. When we meditate, our thoughts and mental pictures slow down and we start to see what they truly are. The gaps between our thoughts allow us to look at this illusory entity more clearly. As the gaps or silence increase in length, we start to question what this illusory entity is. We start to see that those thoughts, beliefs and perceptions are not ours but put there by others; our parents, teachers, friends and everyone else that we have come into contact with. It is scary to see that our habitual thinking patterns are not ours because then, we start to realise that we do not really exist; and that is the point that the Masters are trying to help us see. 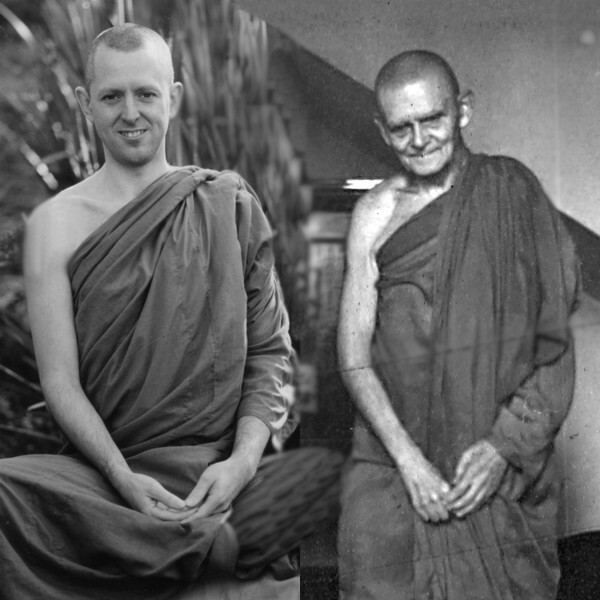 Ajahn Brahm said, “I remember once, on a meditation path in a monastery in Thailand. I was watching my thoughts and getting some separation from them. As I watched the thoughts without getting too involved in them, they appeared to me to be so stupid, because I could trace how every thought that came up was conditioned. They were all conditioned; I was just repeating what I had been taught in the past. There wasn’t even one original thought. The thoughts weren’t really coming from me. I could see the same words coming from my own biological father, or from people who had impressed me. I was just repeating the words like a parrot. When we see that with mindfulness, the inner conversation is seen for what it is, just the echoes of the past. We believe in something that has no substance, something that isn’t real and which has no truth to it. I just couldn’t believe in it anymore and then a wonderful thing happened. When I didn’t believe in the thinking, it just stopped and I had one of my most beautiful meditations”. “Before that insight I had believed all of my thoughts. I’d argue with my friends but I’d never argue with myself. I’d never doubted any thought that came up into my mind; I’d always take it as absolute truth. If I didn’t like something, if that’s what the thought was, then I didn’t like it and that for me was the truth. Afterwards, because I completely pulled the rug out from beneath my own thinking, I wouldn’t easily believe what other people said. I’d be very questioning about what I read in books, I was always challenging it. On the meditation path when we are challenging thought itself, we realize how much of a bubble it is. I pricked the bubble, it went ‘pop’, and there was nothing left. That’s what thinking is! It is thinking that blows you from place to place. It’s thinking that creates all the trouble if you believe in it. Watch those thoughts, reflect upon them, and see them from a distance as an observer”. “Watch this inner conversation going backwards and forwards with a sense of detachment. The more we watch it with detachment, with mindfulness, the more we will loosen our belief in the accuracy of our thoughts. But if we can’t believe in what we think, what can we believe in? The answer is: we can believe in the silence, in that emptiness. That emptiness is far more truthful, far more real than the thinking”. The sense objects may trigger some memory and again create mental pictures, and emotional and physical reactions. The ‘I’ then pops up again! When the mind is quiet, consciousness is still there. Consciousness is the ego’s playground. It is the cinema screen which the ego is projected upon. When the mind is quiet, only a white light is projected on the screen, but we still see the white light as something existential. But, as we continue to move deeper within, even the senses fade away. That is when the ego is non-existent. When there is nothing to be conscious of, consciousness disappears. The cinema screen is removed and there is nothing for the ego to project itself on. We cannot be aware of it at that moment because being aware of it would trigger thoughts and cause the ego to reappear. We can only realise that the ego had temporarily disappeared when we come out of the meditation. It is like sleep. We do not realise that we are having a good sleep during sleep but only realises it after we have woken up. This gives us a glimpse of self-realisation. The ego is still there when we come out of our meditation. We are actually using the ego to understand the ego; we are using our mind to try to make sense of our experience. But, a change would have occurred within us. The ego is somehow more controllable. Yes, our habitual thinking patterns and conditioning will still be there but now that we have seen them, we have taken back the power think outside our habitual thinking patterns; to think ‘outside the box’ created by our habits. We do not need to follow our habits like slaves. Every thought that exist in our ego is not ours. It has been put there by others and we have also put thoughts into others. Ajahn Brahm experienced this and we can too…..easily. Our deep meditation has given us the ability to watch our thoughts and reject those that bring us suffering. We can let go of our bad habits the moment we see the benefits of letting them go. The Masters tell us to peel away the layers of our ego layer by layer; one at a time until nothing exists. When the last layer is removed, we will only be left with inner-peace and bliss. That is when we can truly call ourselves the master of our mind. What the ego is; is an obvious fact but difficult to see because it is held too close to our eyes. But once we see it as it is, the gates of the jail that we are in is suddenly flung open and it is up to us to decide if we want to walk out of the cage or not. We have existed as the ego for so long and letting it go can be scary. If we let it go, there is nothing left. It appears that way but it is not true, when we walk out of the cage, we cease to allow our mind to be our master. No longer will we react based on habits. No longer do we subject ourselves to the ‘karma’ of our habitual patterns. When we walk out, we become the master of our mind. Every thought, perception and belief is subject to our scrutiny. If it is not useful, it is rejected. The process is long and tedious but the rewards are beyond measure. By seeing what the ego is, we can understand the importance and purpose of meditation. Only through meditation are we able to slow down our thought processes and see the true face of the ego. Once we have an actual experience of this truth, all the teachings of the Masters takes on a new meaning. There is a whole new clarity to their teachings. We can see why Ramana Maharshi’s core teaching is to investigate what the ‘I’ is. We can see why the masters say that everything is illusory and that we are deathless. Thoughts and mental formations cannot die. Similarly, in our day to day life, if we can frequently maintain our awareness, we will be able to slow down our thought processes and gain more control over ourselves. We will be less likely to react based on our habitual patterns. When the mind is active, the ego tends to be more prominent. We can easily see this when we are very angry. The thoughts that fuel anger flood our mind like a tsunami and we have no choice but to go with the flow. Only later when we have calmed down, do we start to question what got over us. But if we are sufficiently aware when the angry thoughts are arising, we may realise that those thoughts are silly. We may be saying things that are untrue merely to get ourselves angry; for example, Mr. X tried to get the attention of a waiter but the waiter did not see him. He got angry for nothing because he told himself that the waiter is purposely ignoring because he is not important. In the actual case, the waiter was just rushing to serve an earlier customer and did not notice him calling. Therefore, we should constantly watch our thoughts to see the things we tell ourselves that trigger negative behaviours. When we clearly see the stupidity of these thoughts, we will naturally let go of them. Understanding what the ego is, we can also see why it is so difficult to convince others about what we think is right. By trying to convince others, we are actually asking them to let go of a part of their ego; something that is not easy to do. We can also understand why it is extremely difficult to change others. The wise say that it is better to change ourselves. When we change ourselves, the world changes with us. Most people have to go through suffering before they can let go of the habits that brought on those suffering at the first place. That is why Tibetan Buddhists embrace suffering and face them with courage. They do not indulge is escapism behaviours by indulging in intoxicants and other distractions. Similarly, we spend a lot of effort trying to convince others to our views because it is a way for the ego to strengthen itself. When we see this, we become more flexible and open to changing our views if doing so can bring us more happiness. Therefore, understanding what the ego is cuts through our ignorance like a sharp knife. From this understanding springs the solutions to all our problems. Working on our problems without understanding the ‘Self’ is like chopping at the branches of an unwanted tree. Understanding the ‘I’ is like removing the entire unwanted tree at its roots. Source : ‘Simply this Moment’ by Ajahn Brahm. My first book, ‘We are here to celebrate’ deals with negative habitual patterns that we have in common in various degrees. My second book, ‘Filling our Life with Celebration’ covers positive habits that we can inculcate to replace those negative habits. When we are filled with positive habits, there is no space for negative ones.